Listen to Dozo My Lady. 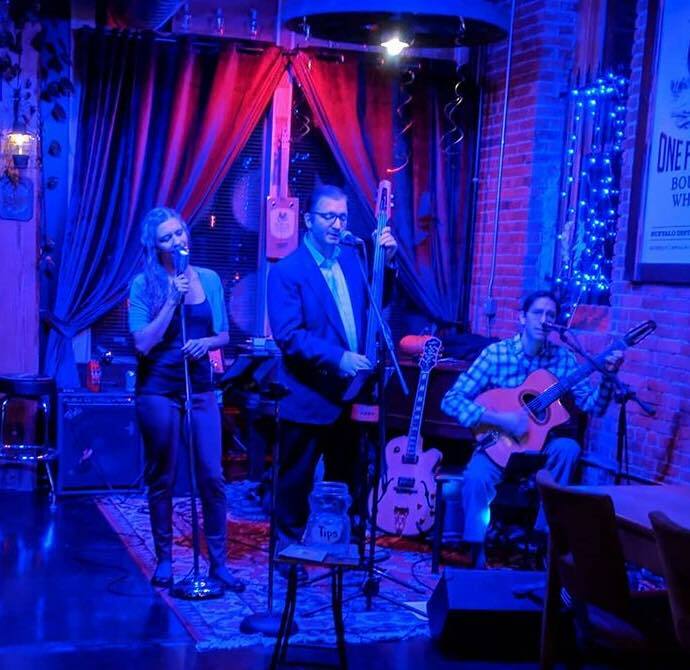 Jazz Standards, Pop Standards, and a few musical surprises will entertain you and great food will fill your belly. Dozo My Lady features, Carolyn Lansom (lead vocals), Dave Lansom (upright electric bass) & Greg Amato (Gypsy Guitar).